I'm a big fan of Blackjack Pizza. 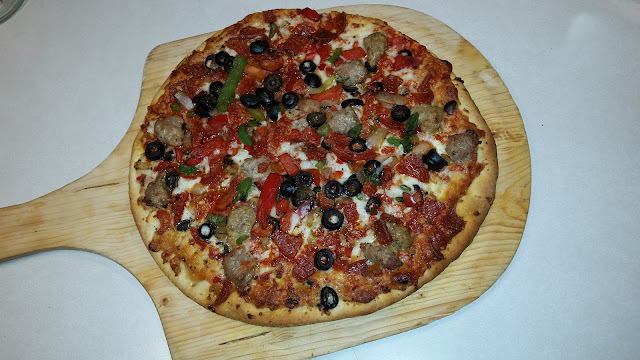 Open in Colorado since 1983, Blackjack focuses on quality pizza with the motto "Better Pizza, Better Price". Vince Schmuhl, an ex Dominos Pizza employee, saw plenty of room for competition in a market where Dominos was the major player for pizza delivery in Colorado at the time. Blackjack's entrance into the market was a welcomed one, and the chain is a Colorado favorite to this day with 45 stores now in operation in four states. 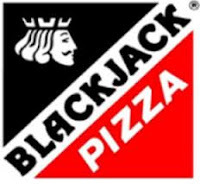 While I have a real appreciation for the delicious quality pizza that Blackjack turns out, my admiration for the company runs a bit deeper than that. Back in the 90s, I operated my own business, and experienced a slow streak during the span of one year. The business wasn't doing so hot, I had some family medical bills that were piling up, and I decided it was time to generate some additional income in my spare time. I popped in at the Blackjack in Loveland Colorado to see if they needed any pizza delivery drivers. They in fact did, and hired me right on the spot. I started that very evening delivering pizzas from afternoon to midnight. As the weeks passed, the manager started having me work around the store a bit more. After a few months, he started teaching me how to make pizzas. He taught me the intricacies of topping proportions, dough making, and taught me how to hand toss pizza dough (a skill I still utilize to this very day). While I originally dreaded taking on a second job, I found myself immensely enjoying the experience of being right in the middle of the busy and sometimes hectic pizzeria. 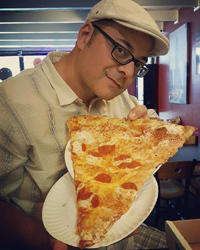 I had loved pizza all of my life, and it was quite satisfying to know that I now had a part in making something that would bring folks the joy, happiness, and contentment that I had experienced so many times in my life. My business finally picked up once again in the spring, and I found myself somberly parting ways with Blackjack Pizza. I had a standing offer to come back if I ever needed a job again, but that would be the last time I would work in a Pizzeria. My experience of working for Blackjack was a very positive one. It had such a strong effect on me, that I even considered opening my own pizzeria for awhile some years later. Blackjack is still going strong, and will most likely always be the Colorado favorite as far as local pizza places go. I believe it's because they focus on the things that matter, like pleasing their customers, and giving back to the community. Back when I lived in Colorado, Blackjack was always my go-to pizza place for delivery. Now that I live in Florida, I was incredibly shocked to learn a Blackjack Pizzeria has opened up in Bonita Springs! It's nowhere close to where I live, but it gives me hope that the chain will catch on out here, and I can once again enjoy the pizza my family and I loved and enjoyed for so many years. 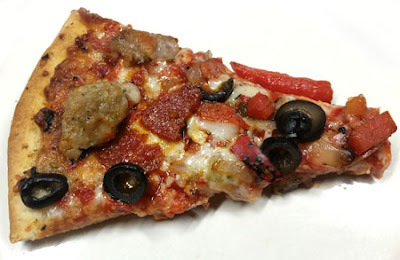 Review - "Supremus Maximus" from Screamin' Sicilian Pizza Co. There are some great things happening in the world of frozen pizza. Consumers are demanding higher quality and healthier options, and companies are listening. Pizza's made with all natural ingredients and no preservatives are becoming ever more available, and I for one am loving it! Enter Screamin' Sicilian pizza. I've sing their praises to anyone who will listen and am going to do so again. So without any further delay, here's my review on the wonder that is the "Supremus Maximus". 5 out of 5 slices! Screamin' Sicilian's Supremus Maximus is a Supreme pizza made with incredible whole milk mozzarella cheese from Wisconsin, heaping piles of rough-chopped pepperoni, enormous orbs of Italian sausage, strips of fire-roasted onions and red & green bell peppers, and black olives. 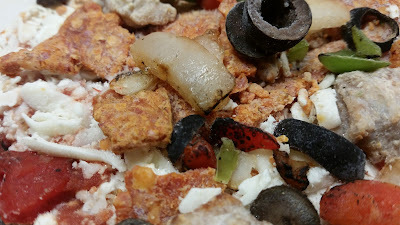 Before I cooked this pizza, I had to snap an up close picture of the toppings. I knew this was going to be a special pie when I took a gander at the roasted peppers and onions you see above! As soon as I pulled this beauty from the oven, I sampled a few of the roasted peppers and onions. I was shocked to find how crispy the onions were, and how incredibly sweet the peppers tasted. The rough-chopped pepperoni was of the utmost quality, and I can't say enough good things about the sweet Italian sausage! Not only were the pieces huge, but the sausage is steeped with seasonings and spices that make it incredibly delicious. I'd even go as far to say that the sausage is better than many pizzeria's out there. No surprise, as a multitude of pizzerias use mass produced sausage bought from food distributors. The Zesty Italian tomato sauce played against the Wisconsin whole milk mozzarella perfectly, and was laid on in perfect proportion. What really continues to impresses me about Screamin' Sicilian frozen pizza's however, is how much they do not taste like frozen pizzas. This is largely in part because of the crust, which is usually a dead giveaway that a pizza is of the frozen variety. Made from individually rolled dough balls made of wheat, water, olive oil & yeast, it represents a nice stone baked crust that reminds me of past homemade pies I've crafted over the years. What more can I say? 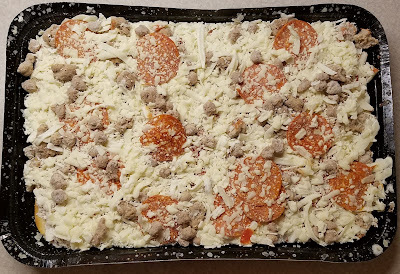 The Supremus Maximus was a hit with my family, and once again had me ecstatic that I can dine on a frozen pizza that tastes nothing like a frozen pizza. I have went ahead and bought a few more varieties of these pies, and will review each one as I cook them up, so keep an eye out for the reviews! Before I officially moved to Florida, I took a few scouting trips to research what part of the state I wanted to live. 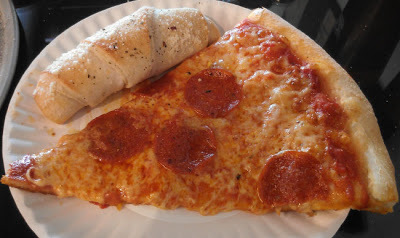 On one of those last trips, I discovered a great New York style pizzeria in Sarasota called Sal's. Being from Colorado, it was at the time, the best New York Style Pie I had eaten in years. Here are some thoughts on their pizza. The crust on this pie was everything a New York style crust should be. Thin and slightly crispy.. but not cracker crispy. A nice puffy and bready edge crust, but nowhere near thick or chewy. The fellow behind the counter hand stretched the dough and hand tossed it in under two minutes. The modest yet incredibly efficient deck oven had the pepperoni pie cooked in about 7 minutes, and it was absolutely cooked to perfection. The balance that a New York style sauce requires is a delicate one. The ingredients call for little more than tomatoes, garlic, and some oregano. Too bold of a sauce will take away from the taste of the cheese, while a weak sauce makes for a bland and uninteresting slice. Sal's sauce was spot on as well as perfectly proportioned to the pie. It served as the perfect buffer between the rich cheese and the wonderful crust. The high butter fat mozzarella was absolutely amazing, and the mouth watering pepperoni was of the utmost quality. Their pizza was incredibly and utterly delicious. The stuff dreams are made of. Well.. my dreams anyway. The dining experience at Sal's to me personally was a bit surreal. The staff, food, and general vibe, made it evident that I was sitting in an honest to goodness New York style Pizzeria. 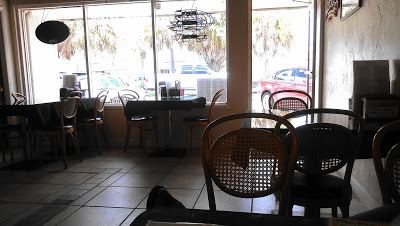 However, once you look out the storefront windows, you see that the pizzeria is juxtaposed with a beach town view complete with palm trees. At the time, I had never experienced anything like it at a pizzeria, and it was quite fun and refreshing. The fellow behind the counter knew his way around the kitchen, and for sure around his deck oven. He made an absolutely perfect pie in under ten minutes and didn't resort to cracking the door once. He knew his oven like the back of his hand, and didn't open it until it was time to pull the pizza out. I was wondering if it needed a turn or two, or even another minute or so, but the young Pizzaiolo crafted a great tasting pie cooked to perfection. He hand rolled some bread sticks for us that were both beautiful and tasty. He also put together a pig in a blanket with pizza dough for my son, which housed a 1/4 lb hot dog and cheese. He was quite friendly as well, asking where we were from (must've been obvious we were out of towners) and was more than happy to shoot the breeze with us, answering our questions about the local sights. Our visit to Sal's was everything a great dining experience should be. 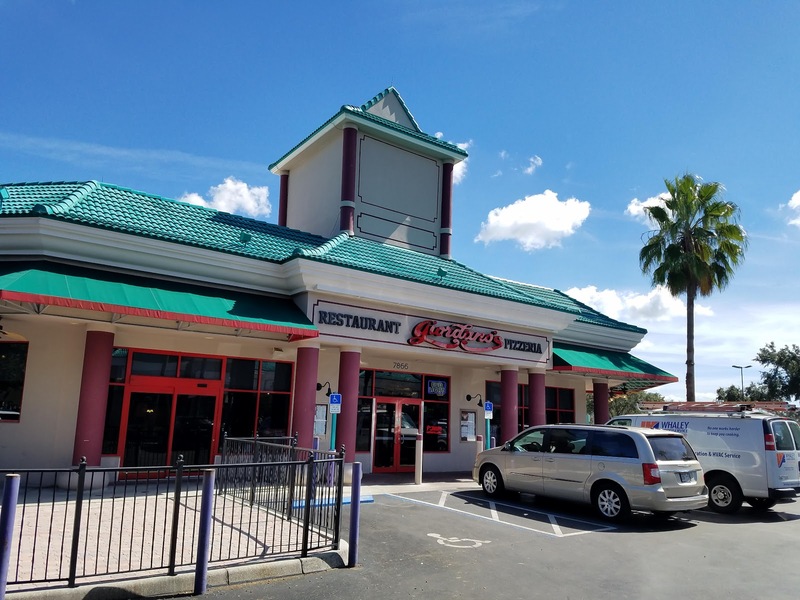 Rest assured that when I visit Sarasota again soon, I will definitely be popping in for more great food and exceptional service.. all set in the backdrop of a beautiful Florida beach town. I hadn't eaten a DiGiorno frozen pizza in quite some time, but heard some good things about their new Crispy Pan Pizza. I must admit that I was never a real big fan of DiGiorno's pizza over the years. I did however take a gamble a while back on trying their Garlic Bread Pizza and was pleasantly surprised, which in turn created a gateway for me to try this one. 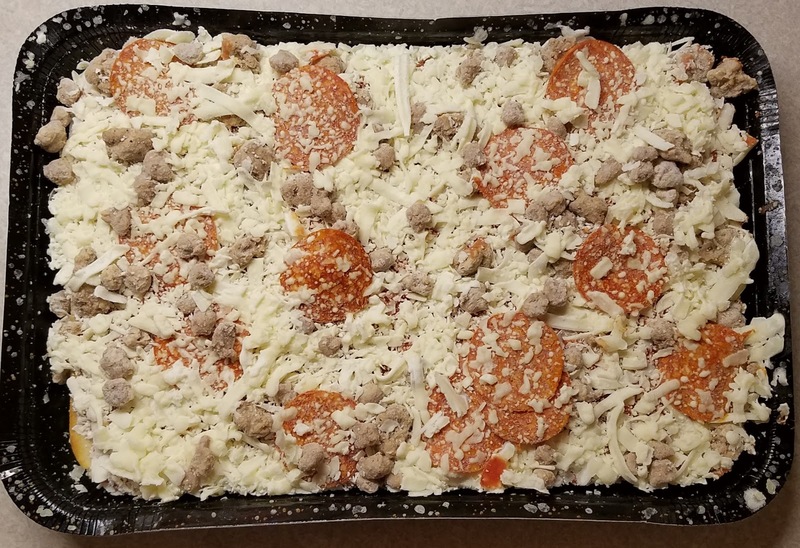 I always like to keep some frozen pizza on hand for emergencies, so I figured I would pick one up so I could give it a try next time a late night craving hit. 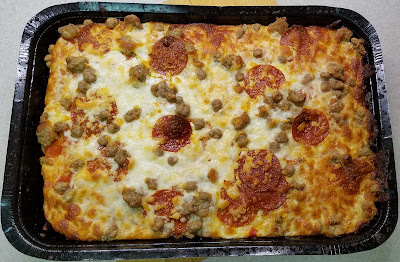 This three meat pizza comes laden with pepperoni, sausage, beef, and loads of Mozzarella. The pie comes with its own single use pan which I must say, did an excellent job of crisping up the pizza from edge to edge. The cheese actually creeps over the edges and helps in creating a crispy and caramelized crust. 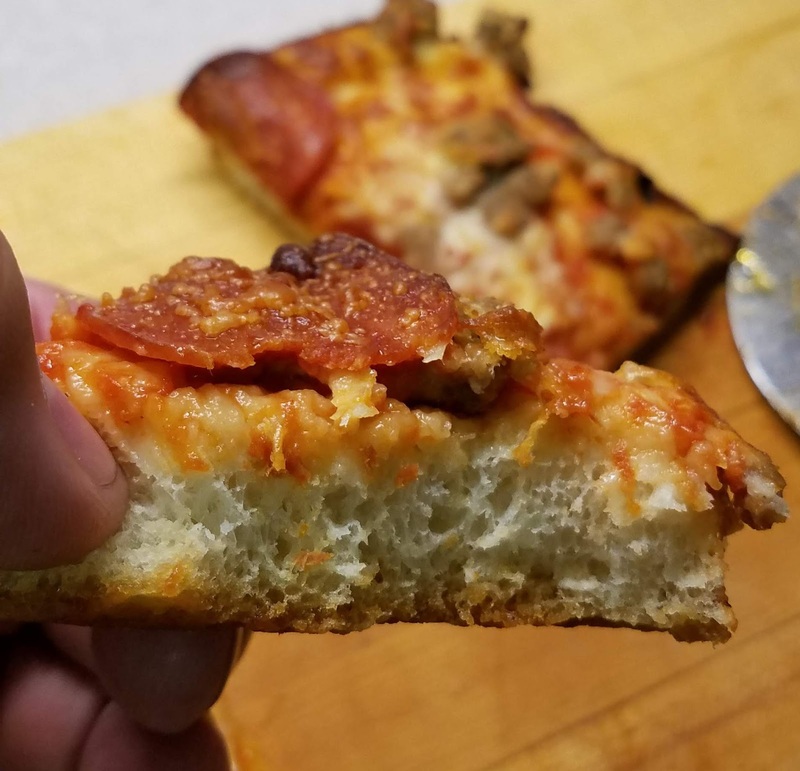 I was doubtful that DiGiorno could pull off a crispy pan pie, but they proved me wrong. The edges and underside of this pizza were nice and crispy, with the interior of the 1+ inch of crust being soft, airy and tender on the inside. I wouldn't quite say it's the same as a homemade or fresh baked pie, but it most definitely tastes closer to homemade than frozen! More pepperoni and a better sauce to bread ratio would have garnered a higher rating from me, but the pizza was by no means unenjoyable to eat. I baked the pie at 22 minutes and really should have rotated it once, because I have a hot spot in my oven. Totally my fault, but I could definitely see cooking these pizzas at 24 minutes plus, being too much for these pies. Every oven is different, so I would start checking on it at around the 20 minute mark. As for size, I'd say three to four adults could dine off of these pies (depending on their appetites). If you're feeding a family of four or five, make sure to buy two of them. Cutting it up into slightly smaller pieces would make it ideal to put out for party snacks. All in all.. definitely a bargain for under seven bucks, and I can honestly say that it beats the heck out of anything Papa's, The Hut, or Domino's cranks out. And THAT my friends, is no small feat for a frozen pizza company to pull off! 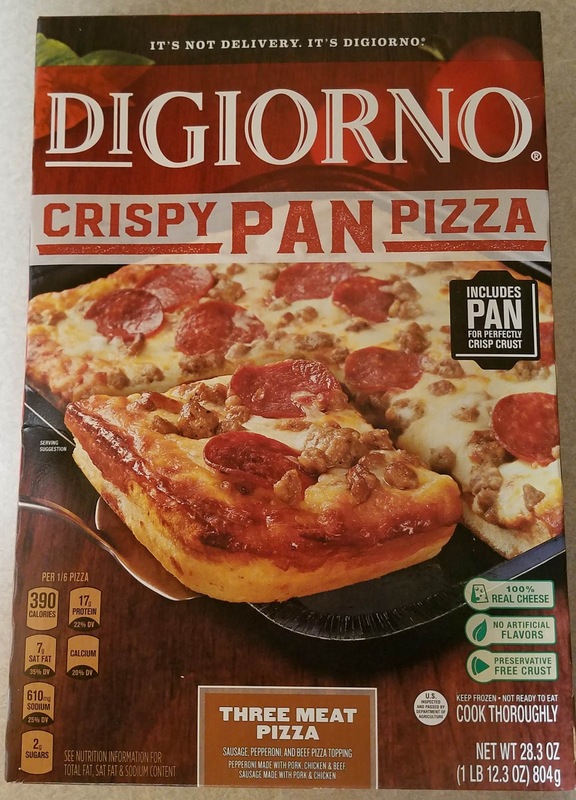 DiGiorno's made this Crispy Pan work, and I hope they keep putting the research and development into new products they release. 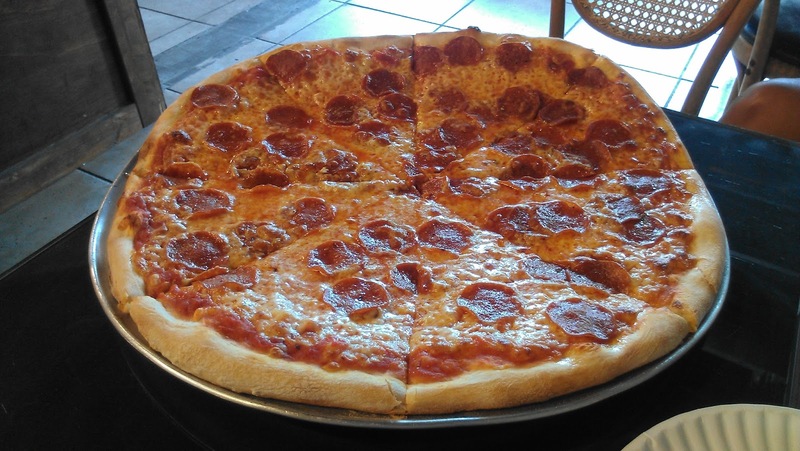 G's NY Pizza - 12346 Roper Blvd. 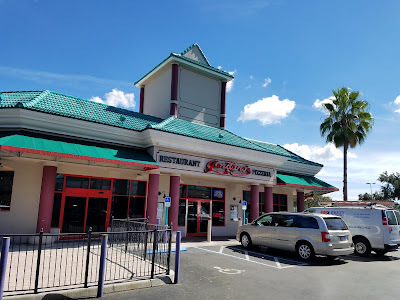 This week, I realized that I have never officially written a review for the Pizzeria I frequent most often in Clermont Florida. I guess it's due time to remedy that! I won't get too in depth with the full blown details on aesthetics, consistencies etc. Instead.. I'll let a few photos from my Instagram do the talking.. So as you can see from the pictures, G's is an authentic NY Style Pizzeria through and through. Great hand tossed pies made with great ingredients. The owner Peter Fiorino grew up in Valley Street New York, and was on the 2007 United States Pizza Team, so the guy definitely has skills. I can count on one hand, the times he hasn't been in the pizzeria during my visits in the last year. He makes a mean pie, and definitely takes pride in his craft. They have a great menu as well. Whether its a salad, sandwich, calzone, stromboli, or Parmigiana dinner, I've never had a bad meal at G's. Do you have a sweet tooth? I IMPLORE YOU to try their Cannolis! Always freshly filled after you order them, the shells are crisp, and not dense like other places that pre make and refrigerate them. 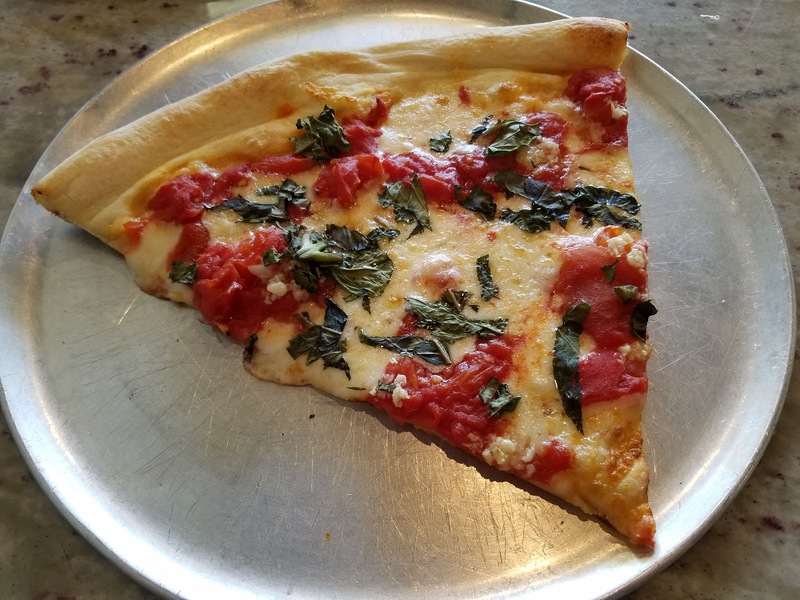 Check them out below..
G's is my go-to Pizzeria for New York Style Pizza, and it's not because it's so close to home (that's just a blessing). It's a nice little shop (and I do stress the word little) because I believe there are a total of three tables inside. Two of them seat up to four people, and the other seats two, so max capacity is about ten or eleven people. I always try to go early to miss the lunch crowd, but am always ready to not have a place to sit. In that instance I will order it to-go, and hope for a table to open up, otherwise I eat my pizza outside, or in my car. Still.. totally worth the minor annoyance, because their food is so incredibly good. Well folks, I believe I've found my new favorite New York Style Pizza spot in the Orlando area. 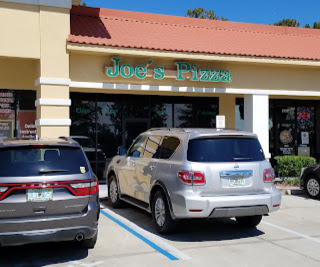 Joe's Pizzeria in Ocoee is hitting on all cylinders, and I've immensely enjoyed my last couple of visits there. They opened up in New York back in 1988, and expanded to Florida shortly after opening their first restaurants. This is quality pizza through and through, with great ingredients and a perfectly stretched & cooked crust. While fresh ingredients are always key to making a good quality pizza, the backbone is the crust, and I could find nothing wrong with Joe's. The crust on my slices had just the right amount of crispiness to them. 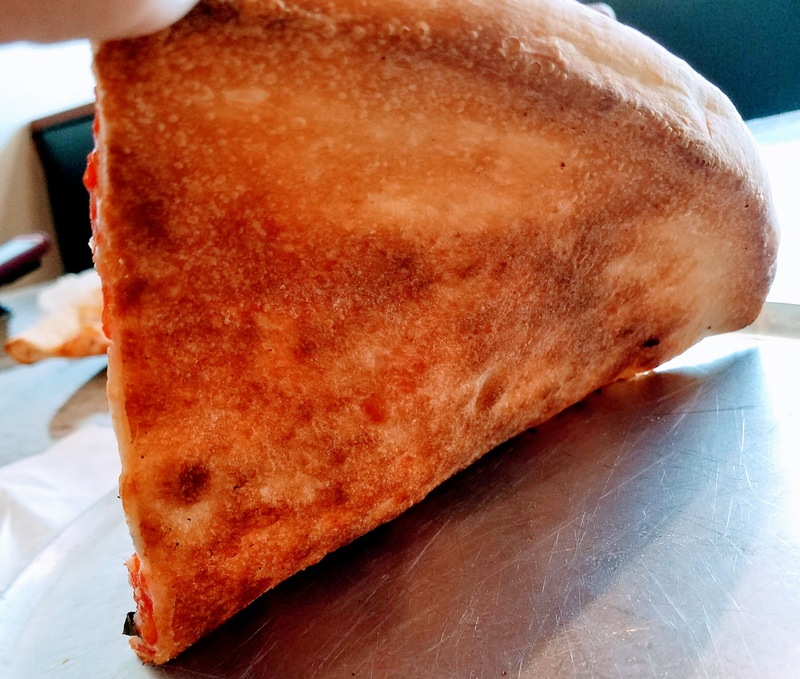 I love a big floppy slice that you can fold and eat on the go.. but the extra amount of crisping that this bottom crust had was perfect, and made the slices easier to handle. 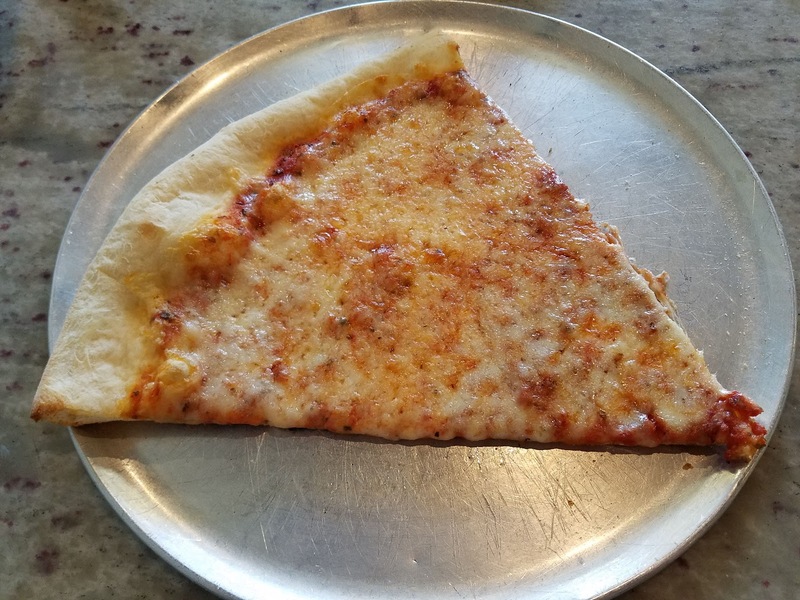 Mind you, there's a very fine line between this crisping and an overcooked slice, but Joe's has managed to find that sweet spot of perfection that kicks this crust into the stratosphere as far as taste and consistency goes! If you want a real treat, order up a slice of Joe's Margherita pizza which is made with Mozzarella, plum tomatoes, fresh Basil & Garlic. It's a perfectly balanced slice, and took me to Zen after the first bite! As if the Pizza wasn't enough of a treat already.. I also ordered some Garlic Knots that totally blew me away. I can't stand a pre made Garlic Knot that is heavy, tough, and devoid of flavor. These beautiful little knots of dough were light, soft, and obviously made fresh. 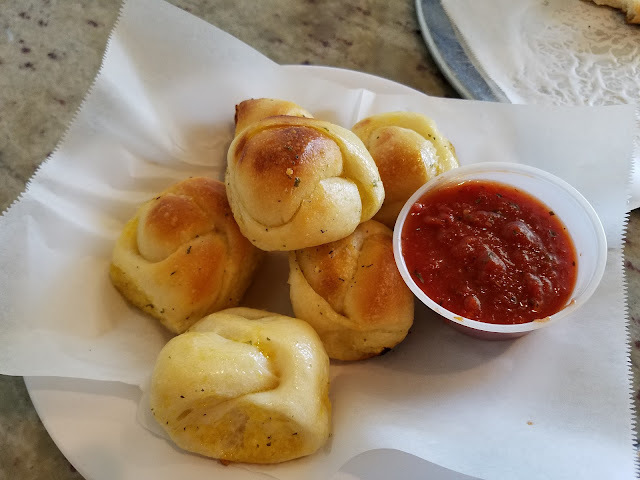 The butter and garlic was perfectly proportioned, which made for some of the most succulent Garlic Knots I've ever eaten. The marinara perfectly complimented them, and didn't overpower or take anything away from the knots. At $2.00 for an order of six.. this is one of the best deals you will find in these parts for such a high quality appetizer. 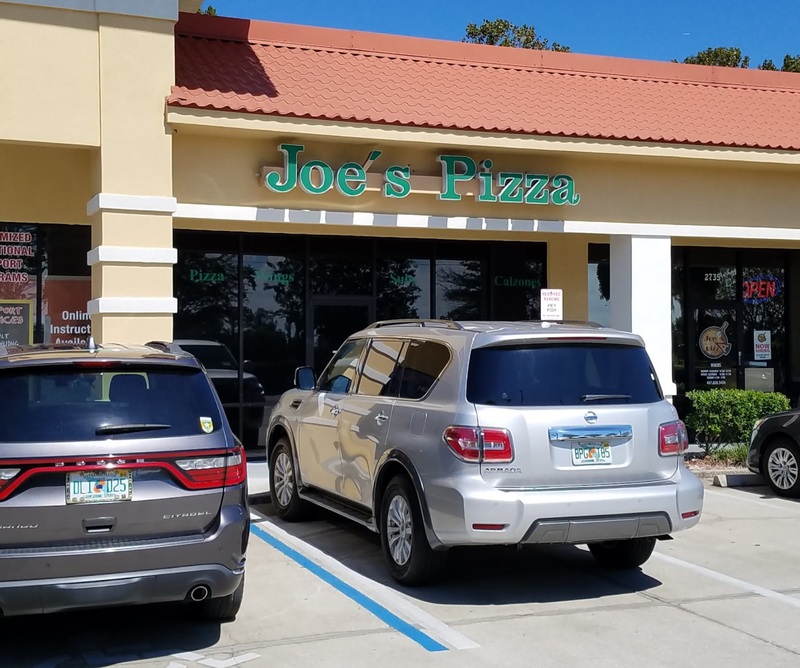 I can't say enough nice things about Joe's Pizza in Ocoee. If you want New York Pizza done right, hit them up. If Ocoee is a little out of the way for you, they also have another store at 1881 Fairbanks in Winter Park. To sum up, Joe's makes an incredible tasting pie made with quality ingredients, and is a heck of a value. Joe's will be getting more of my business and referrals for some time to come. 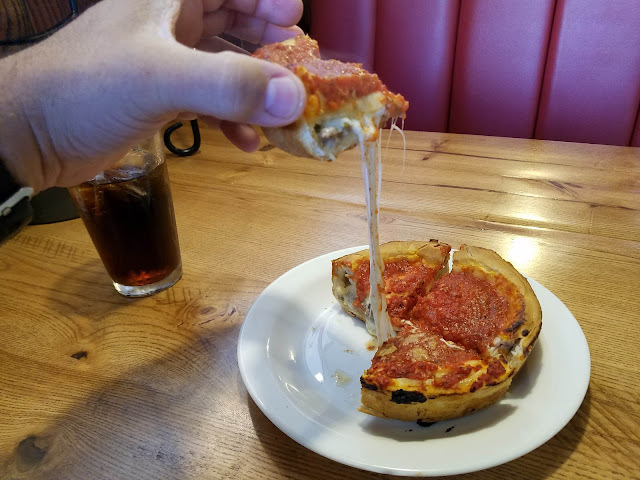 I stopped in at Giordano's the other day for lunch. If you weren't aware, they have a pretty good lunch special that's been running for awhile now. 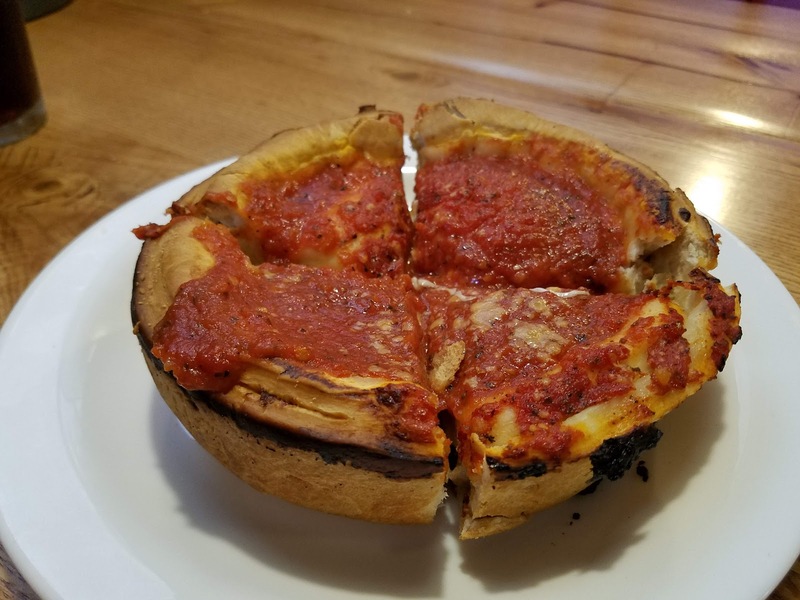 From 11:00 to 3:00 p.m. You can get a 6 inch stuffed deep dish pizza with all cheese, pepperoni, or sausage, and a choice of a side for just $8.95. You might scoff at the thought of a 6 inch pie, but I attest as an official card carrying "Big Guy".. you will not be disappointed with this meal. A cute little Deep Dish Pizza Pie that will fill your belly! Be aware that this pizza even at six inches, is going to take a half an hour to bake, so if you're in a hurry, you might want to order something else off of the lunch menu. Personally however, if I'm taking the time to go to Giordano's, I am always going for their signature Deep Dish Pie! I opted for a sausage Pizza, and was not disappointed. The Crust - Nice and crispy on the outer layer, and not doughy anywhere else. Nice and bready on the end crust, but I love this! The Cheese - Their aged Wisconsin Mozzarella tasted incredible and provided great creaminess, with a nice buttery flavor. The stretchiness of the cheese is something you just won't believe until you see it. The Sausage - A roundish sausage crumble that one gets accustomed to seeing in pizzerias of all sorts. I would have liked to see a sausage in this pie with a more artisan feel and taste to it. The Sauce - A very fresh tasting sauce that helps pull this deep dish together. Giordano's sauce does not have any preservatives or chemicals and is made fresh daily. Crafted from fresh tomatoes grown in Mendoncino County California, this quality sauce is definitely a star. It would be so easy for a pizza chain to 'Phone it in' and use a mass produced sauce from a distributor, so I really respect how Giordano's keeps it real. New York style is usually my go-to pizza of choice, but I do get a hankering for a good Deep Dish pie on occasion. I really do dig everything about these pies, even the massive end crust that you're left with when you finish your slice. Some people don't care for end crust to begin with, so I can see how a Chicago style crust may not excite some folks. If that includes you.. I will share a trick with you that might help you finish off that crust a bit easier. Step One - Stop eating the pizza when you get a couple inches away from the end crust. Step Two - Rotate the crust so the tip of where your slice used to be, is facing straight up. Step Three -Hold and eat the crust the way you would eat a Hot Dog. When you utilize this technique, you will have sauce, cheese, and toppings to go with every bite of the thick end crust. The toppings won't fall off thanks to the sheer width and flatness of the end crust. It doesn't work on any other type of pizza! All in all I had a wonderful dining experience at Giordano's. One of these days I will have to visit and order one of their full blown loaded large pies that can feed 4-6 people. If I do.. rest assured you will read about it and see it here!